Still haven’t found what you’re looking for? Please reach out to us via our contact form. Can I get my catering delivered? Yes, we offer delivery for an additional fee. Head to our Catering page to download our menu. Is Surf Taco open year-round? Yes, most of our locations are open throughout the year. Both our Seaside Park and Long Beach Island locations are seasonal, open mid-May through the middle of September. Where do I find out more info on in-restaurant fundraisers, donations & sponsorships? 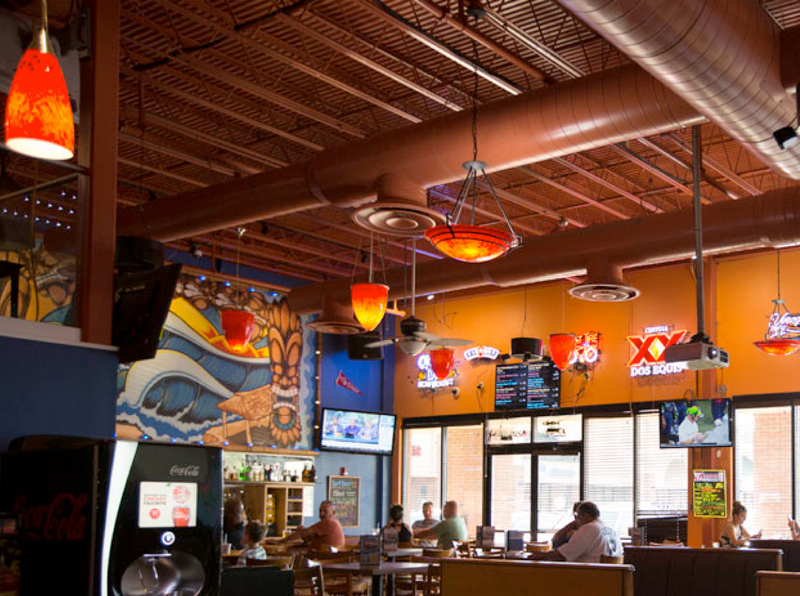 Surf Taco is very active in our local communities and welcome your ideas and requests. Follow these links to submit request forms for Fundraising and Donation opportunities. What sort of organizations do Surf Taco support? ST C.A.R.E.S. stands for what we stand for: supporting children, the arts, relief & recovery, the environment and those active in the surf & skate world. Jackson is currently our only location with a bar. 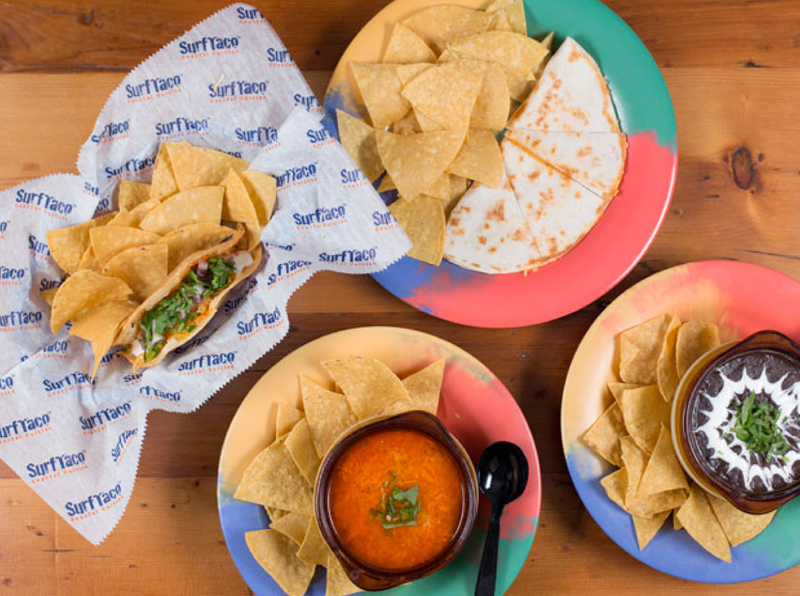 All other Surf Taco locations are BYOB. Our Hoboken, Rutgers, Long Branch, Lacey & Silverton locations currently offer delivery. How do I get the Surf Taco app? Text “SURFTACO” to 33733 to download or search for us in the app store. Yup! Even our pico de gallo can be purchased by the pint. I love the complementary cups at the salsa bar but I want to bring enough home to satisfy my Surf Taco cravings. Can I buy my favorite salsa by the pint? Does my order come with chips? Chips come with most items on our menu. 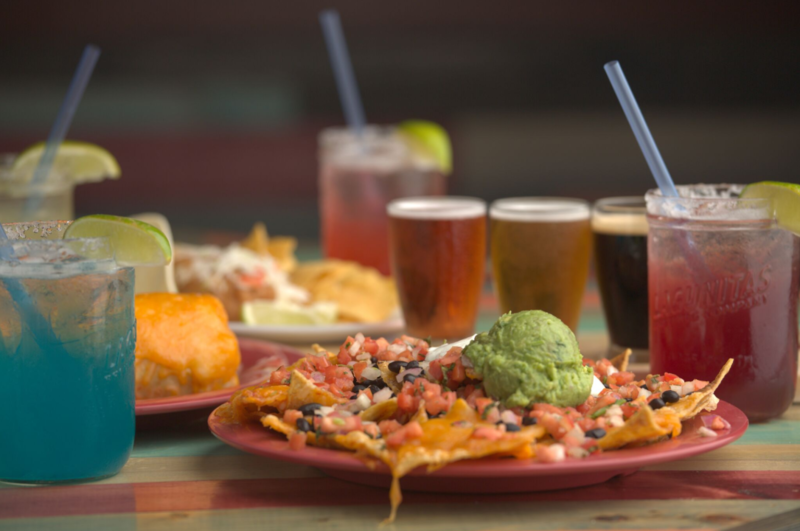 If you’re ordering tacos, burritos, wraps, bowls, quesadillas, kids meals, surf plates or combos #1, 2 & 4, expect each to come with their own side of hand cut tortilla chips. How many tacos come in an order? All tacos are served individually with a side of chips. Check out our Combos meals to get more bang for your buck!